Syrian Arab Army’s artillery and the Syrian Arab Air Force targeted Kafr Nabl and Tell Manis in the governorate. According to the Syrian Civil Defense (The White Helmets), two civilians were killed and 19 were wounded by the targeting of Kafr Nabl. Improvised explosive device wounded an element of Al-Jabhat al-Wataniya lil-Tahrir (National Liberation Front)’s Ahrar al-Sham in the city of Ariha. Left over Islamic State’s improvised explosive device killed a civilian in Al-Shaafa in eastern Deir al-Zour. 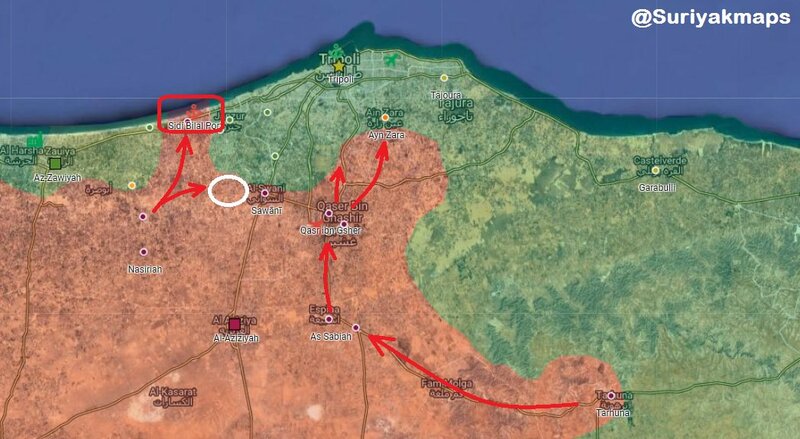 Libyan National Army reportedly took control of the 27th gate area from the forces loyal to the Government of National Accord, as clashes between the two continue at the outskirts of Ayn Zara in southern Tripoli. Libyan National Army’s spokesman stated that 14 elements of the army were killed during clashes in greater Tripoli region. Islamic State’s improvised explosive device killed and wounded six elements of the Afghan National Police in the city of Jalalabad. Islamic Emirate of Afghanistan’s (Taliban) Al-Emarah News stated that the group overran the administration center of Ab Kamari district, as well as nearby Afghan National Police’s headquarters and several checkpoints. Islamic Emirate of Afghanistan’s Al-Emarah News claimed that 46 elements of the Afghan National Security Forces, including commander Dost Muhammad surrendered to the group in Murghab district. Afghan National Security Forces killed two and wounded four elements of the Islamic Emirate of Afghanistan in Muqur and Qarabagh districts. Afghan National Security Forces killed two and wounded two elements of the Islamic Emirate of Afghanistan, as well as destroyed a vehicle in Arghandab district.